In this article, we are going to discuss about the Sharekhan Charges. Along with Sharekhan Brokerage Charges, the broking house also charge account opening charges, transaction charges, and the various other charges that levied by the government. So, let’s take a review. Sharekhan sets the brokerage charges for equity delivery are 0.50% and for equity Intraday, equity futures, and currency futures they are 0.10% respectively. The brokerage charges for equity options are Rs. 100 per lot and for currency options are Rs. 30 per lot. Sharekhan securities has organized two special brokerage plans for their customers.The monthly brokerage fee in the first plan is Rs. 1 lac per year and the brokerage charges for equity 0.10% , for equity Intraday and equity futures brokerage charges are 0.20% respectively and for equity option Rs. 63 per lot. 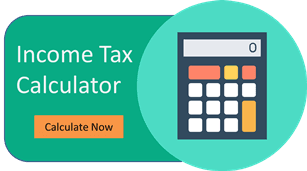 Get a Call back from Sharekhan – Fill up the form now! Sharekhan securities is not taking any charges for opening trading and demat accounts and maintaining trading accounts. Only clients are require to pay Rs. 400 as a demat AMC, which is free for 1st year with trading account. The margin money are Rs. 5000, which means clients can start trading at sharekhan securities with Rs. 5000 only. The transaction charges for equity delivery and equity intraday for NSE 0.00325% and for BSE 0.00275% respectively. The transaction charges for equity futures for NSE 0.001900% and for BSE 0.00050% respectively. Transaction charges for equity options for NSE 0.0500% and for BSE 0.00050% respectively. The transaction charges for currency futures for NSE 0.00135% and for MCX: 0.00130% respectively. Transaction charges for currency options for NSE 0.04220% and for MCX 0.03220% respectively. The transaction charges for commodity MCX ( Non agri) 0.00230% and for MCX ( Agri) 0.00095% respectively. Despite from account opening charges and transaction transaction on assets classes, there are also various other charges that levied by the sharekhan securities and government. Clients have to pay 0.0002% of total turnover as SEBI turnover charges & STT 0.0126% of total turnover. The stamp duty charges levied by the state governments lies between 0.002%- 0.004%. The GST charge is 18% of ( brokerage + transaction charges). The margin funding charges are 18%+ GST respectively. Sharekha securities is not charging any cost for closing trading accounts and Rs. 50 per segment as reactivation charges. The dematerialisation charges are Rs. 10 only.